One of the most frustrating parts of self storage is that you need to get everything there in the first place. The process will usually require a large van, as well as a fair bit of effort on your part, in that you have to load all of the items twice, once into the van and then once in to the storage unit. Of course, there can often be a stop between the items coming out of the van and getting into the storage unit, which is likely only going to make things worse! If you are able, then it is essential that you can have a clear idea of how all of this works, and can be made easier, simply to give yourself a better chance of it all going smoothly and easily. You will find no doubt that the going is still tough, but battling it out will be worth it in the end! You should always ensure that you are making your life as easy as possible. For a start, do you absolutely need to store everything that you have marked out for storage? It can often make sense to sell certain things, and then save the money to buy a new one second hand later on, if you ever need it again! 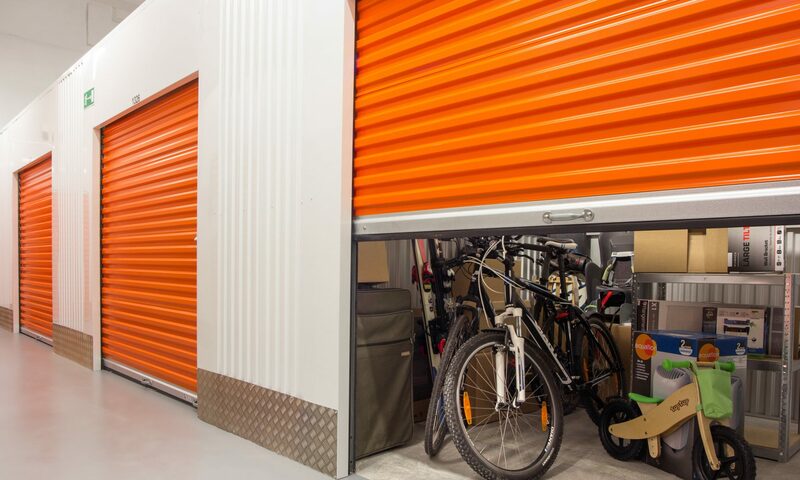 This way, you avoid the expense of a storage unit, which can be pretty hefty, especially if you are not completely sure as to how long you are going to be using it! This is obviously only applicable to certain items, as some will be personal to you, but again, it has to be asked; if these items are so personal to you that you cant sell or get rid of them, then why are you storing them? You will also find that having a sack barrow or a trolley for heavier items will mean that one person can handle a larger item, but be sure that you know how to use it. If you over do it with a sack barrow, you can end up beneath a wardrobe pretty quickly, so be sure that you are well versed in the equipment before you try anything serious! Ensure that your items are packed up and protected before yo leave the house, as it will be a pain to do when you are at the unit. You will find that wrapping all fabric based items in plastic will ensure that they are free from damp or insect problems, though the fact of the matter is that if the storage place has a rodent issue, the plastic won’t protect a huge amount from that. You will find that sealing boxes well will also be a great help. Loading the unit up, you need to be sure that you leave some space to move about in, rather than packing the room too tightly. You will no doubt understand that there may be the need to get to certain items without disrupting the rest of the items, and that will mean being clever with the layout of the unit. If you have to stack things, then ensure that the stacking is not to widely spread, so that single things can be moved without the whole place collapsing! Also, leave a channel through the middle, so that your movements between things are a lot easier. You will no doubt find that the whole situation is made a fair bit easier by simply renting a unit that is a little bit bigger than you need, though this may be a bit too expensive in some cases. Previous PostPrevious Guest Post: 15 Tips on How to Prepare Items for Storage. Next PostNext Guest Post: Self-Storage Unit for Rent. Some Helpful tips.